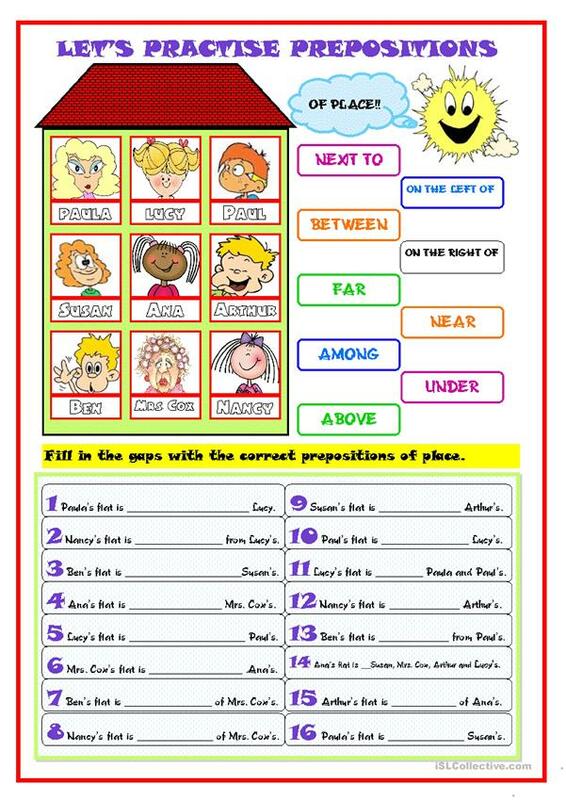 In this kind of game pupils must fill in the gaps with the prepositions stated on the right. The above printable, downloadable handout is recommended for business/professional students, high school students, elementary school students and adults at Elementary (A1), Pre-intermediate (A2) and Intermediate (B1) level. It is a useful material for teaching Prepositions and Prepositions of place in English, and was designed for honing your groups' Reading and Writing skills.